RIO DE JANEIRO — The U.S. women's basketball team's dominating performances at the Olympics over the past two decades isn't the result of simply having the best players in the world. Of course that helps, and continuity plays a major part. But don't discount the players being well versed in the rules and nuances of international basketball. Diana Taurasi and most of her U.S. teammates spend their offseason playing overseas because of the financial incentives. Most of the Olympic players are either teammates of the American players or opponents in leagues around the world — including Russia, Turkey, France or China. 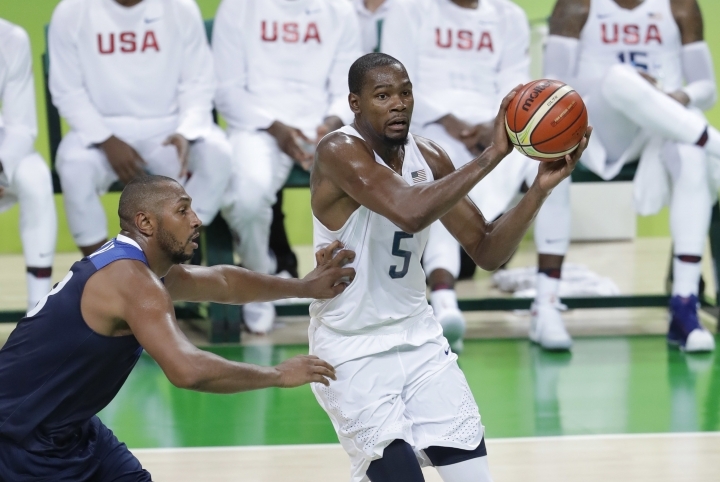 The U.S. men's basketball team, which has won 50 straight international tournament games, is still adjusting to the different style of play in Rio. There are 10 first-time Olympians on that squad, which has been challenged in the tournament. "We talk about it all the time. Last night I was talking to Kyrie (Irving) and Kyle (Lowry), talked to Draymond (Green). 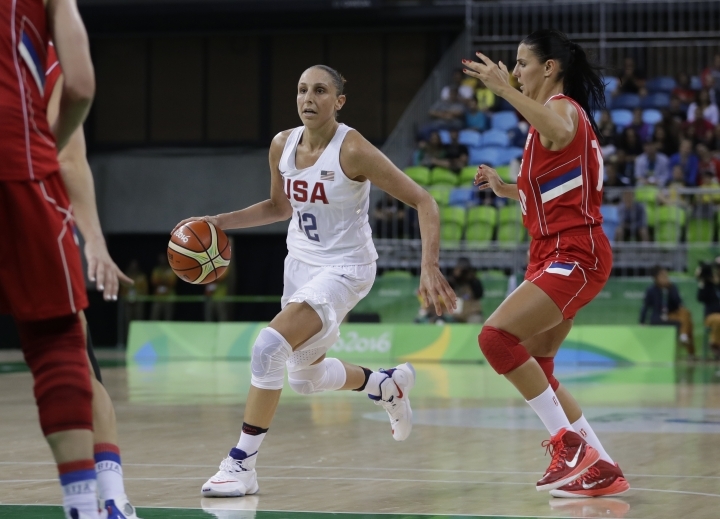 It's a different type of basketball," Taurasi said. "Until you play it, or experience it, you don't understand it. The more games the guys have played, I thought they've felt more comfortable in each scenario. Everything's way different. I've been lucky to play overseas for 12 years so I understand it a little bit better." Taurasi wasn't surprised at Serbia point guard Milos Teodosic's success against the U.S. men's team in pool play, when he had 18 points and six assists in a 94-91 loss. "I've been watching him play for 10 years and he's one of my favorite players and no one's ever heard of him," Taurasi said. "He's an unbelievable basketball player. I'm sure they didn't hear of him. We have the luxury to play against all the Serbians, the French, the Aussies, the Spanish, the Chinese. We played against them for 10 years now. We have that comfort level." The U.S. women certainly have looked comfortable over the past 20 years in the Olympics. The Americans have won 46 Olympic contests in a row with only one game being decided by single digits. The men are also 5-0, but won each of their last two games by three points. "It's slower. Teams try to slow the game down," Kevin Durant said of one of the many differences between the NBA and international play. "They have a lot of continuity in their sets. Defensively they can sit in the paint, so it's different. The floor is a little tighter, but we got a lot of shooters, and we just try to find our rhythm on the offensive end. But, defensively, we got to do a better job of talking to each other." Ten of the 12 U.S. women players have spent a few seasons playing abroad, with only Breanna Stewart and Elena Delle Donne lacking the international experience. Stewart will play in China this offseason. "I do feel like it's a different game overseas," said Tamika Catchings, who has spent time playing in Russia, Turkey and South Korea. "You play USA Basketball and you go over there maybe, but it's a different animal when you're in that country and playing. "A lot of the guys may not have played with the USA junior level. When you play on this elite level, definitely every country wants to beat us. They're training every single day knowing their goal is to beat the U.S. team to win the gold." The U.S. men will learn Monday night who they will play in quarterfinals on Wednesday. The women begin quarterfinal play on Tuesday against Japan, the team in Rio the Americans know the least about. Japan's top player, Ramu Tokashiki, plays on WNBA Seattle Storm along with Stewart and Sue Bird. Geno Auriemma has been impressed with how Japan has competed. "I don't think there's another team in the world that plays the way they do," the U.S. coach said. "Play as quickly as they do, as crisp together as they play and do as many things as Japan does, I think they are unique in the world in that respect."